The Harlingen High School Business Professionals of America Club competed with participants from all across Texas at the State Leadership Conference held in Corpus Christi on March 3. Two HHS finalists made the National round by taking first place in their respective events. 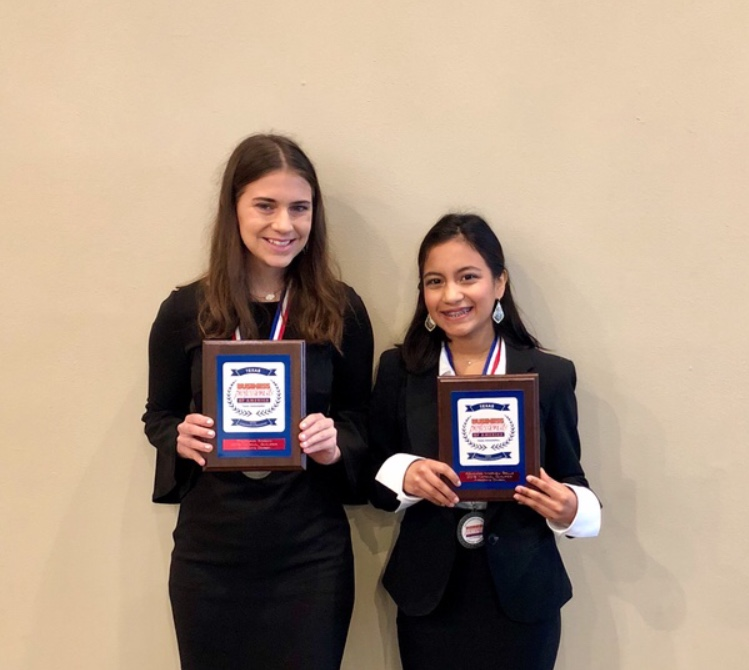 Klarisa Posada earned 1st place in Advanced Interview Skills, and Maryclare Todd earned 1st place in Prepared Speech. They will be representing HHS and HCISD when they compete at the 2018 National Leadership Conference to be in Dallas, Texas from May 9-13.